Yeah, it's been two years and I'm still goin' on about my botched hair job. I'm scarred for life! May 17, 2017 (re-post). It's been almost a year since my traumatic and altogether unsuccessful hair transformation. They all (the many hairstylists) said it will take six months to recover my hair. I've been obsessively treating, cutting and babying my strands - Still, eleven months and counting.. Hair grows (it's a fact), but repairing severely damaged hair takes time - Oh, and lots of products. I'm embarrassed to say how much I've spent on hair repair solutions and vitamins. Initially, I was skeptical of Olaplex and didn't have great things to say about this preventative treatment. The stylist who took my hair from black to orange to green to greenish-gray-yellow-blonde (YUP, thats what I ended up with), said Olaplex would protect my hair from the bleach and there would be little damage. NOT TRUE! Clearly this stylist overestimated the treatment and was 'possibly' misinformed. I was still under the impression that Olaplex would repair my hair. I used Olaplex one, two and three for a few months after, but didn't feel like my hair was getting better, so I discontinued the treatments. Some time later my new stylist explained that Olaplex is a preventive treatment, and not a hair repair solution. She said regular applications would keep my hair from being further damaged. I got back on the Olaplex-wagon. Along with intense hydrating masks and vitamins, my hair 'slowly' started to grow. My stylist includes Olaplex step-one in my color solution. After rinsing the color, Olaplex step-two is applied. In between salon visits, I use Olaplex step-three (just once). Admittedly, I've been converted and am a fan of this hair-care product. I'm sure it was a combination of many hair repair products, but so many people think Olaplex is a miracle treatment, that I'm inclined to give this bond multiplier, bond protector and hair protector credit for my healthy, shiny hair. I was excited when I saw Olaplex Shampoo & Conditioner at Sephora. I'm a Bumble and Bumble Hairdresser's Invisible Oil super-fan and have tried a ridiculous number of other shampoos and conditioners, but always go back to Bb. Not this time - Olaplex No.4 Bond Maintenance Shampoo and No.5 Bond Maintenance Conditioner have landed a permanent spot in my haircare routine. The No.4 Bond Maintenance Shampoo has a refreshing citrus scent. I think I smell a slight coconut scent in there too - it reminds of Bumble and Bumble Hairdresser's Invisible Oil shampoo and conditioner. The scent is kinda strong and lingers. The shampoo lathers like crazy. I used my usual dollop and had suds running down my face, neck and back. I suggest starting with a small amount. Typically, if I go three days without washing my hair, I have to shampoo twice, but with Olaplex Bond Maintenance Shampoo, one wash is sufficient. 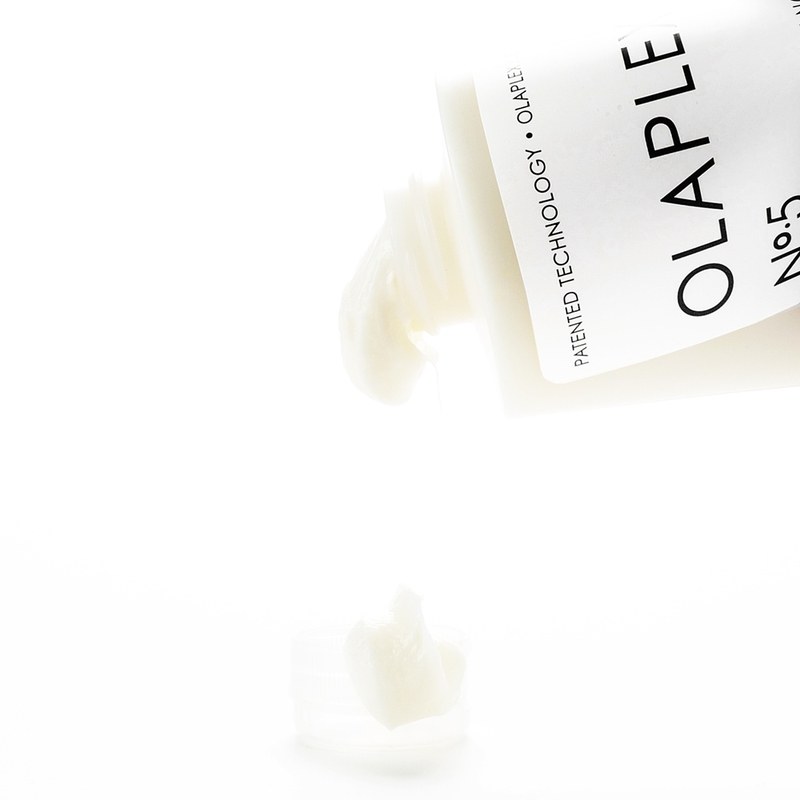 The No.5 Bond Maintenance Conditioner has a similar scent, but less intense and kinda creamy (fitting, considering it's nourishing cream for your hair). This stuff is thick and a little goes a long way. I usually use IGK Prenup Instant Spray Hair Mask after Bumble and Bumble Hairdresser's Invisible Oil, but it's not necessary with Olaplex conditioner. This creamy product is super-nourishing and leaves my hair feeling soft. 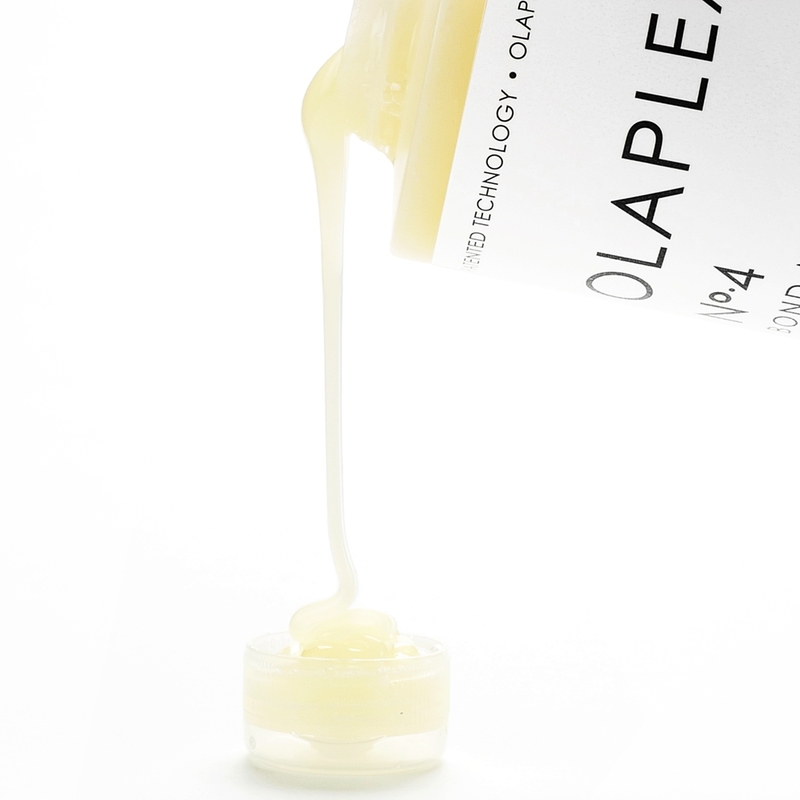 After using Olaplex shampoo and conditioner, drying and styling, my hair does feel heavier than usual, but knowing that I'm repairing my hair once a week, is worth the weight. I'm a fan! 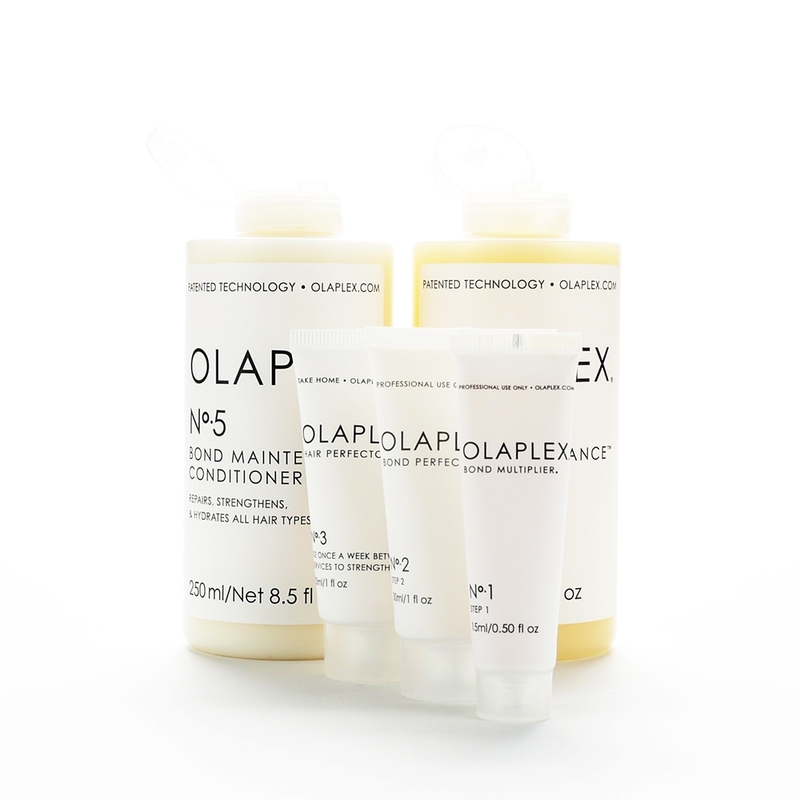 Olaplex products are kinda pricey, but you don't need a lot of shampoo or conditioner each time you wash. I think these bottles will last me months (washing once a week). I do suggest you alternate shampoo and conditioner brands. This nourishing treatment may be a little heavy for regular use. 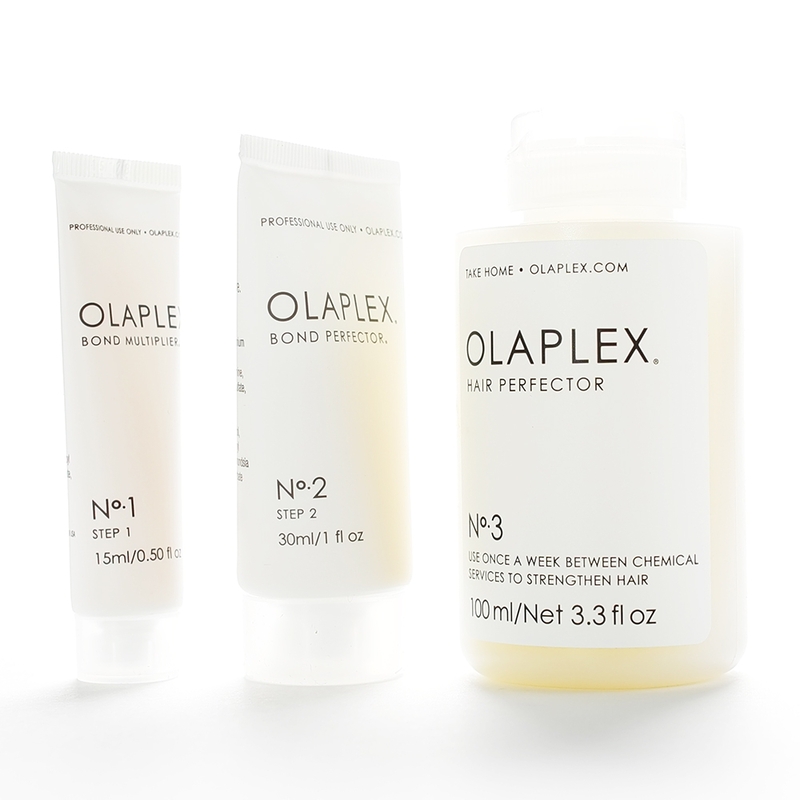 You can purchase the Olaplex Salon Intro Kit - it includes the No.1 (step 1) Bond Multiplier, No.2 (step 2) Bond Perfector and No.3 (step 3) Hair Perfector. You an also purchase No.3 in a 100 ml bottle for more frequent use. 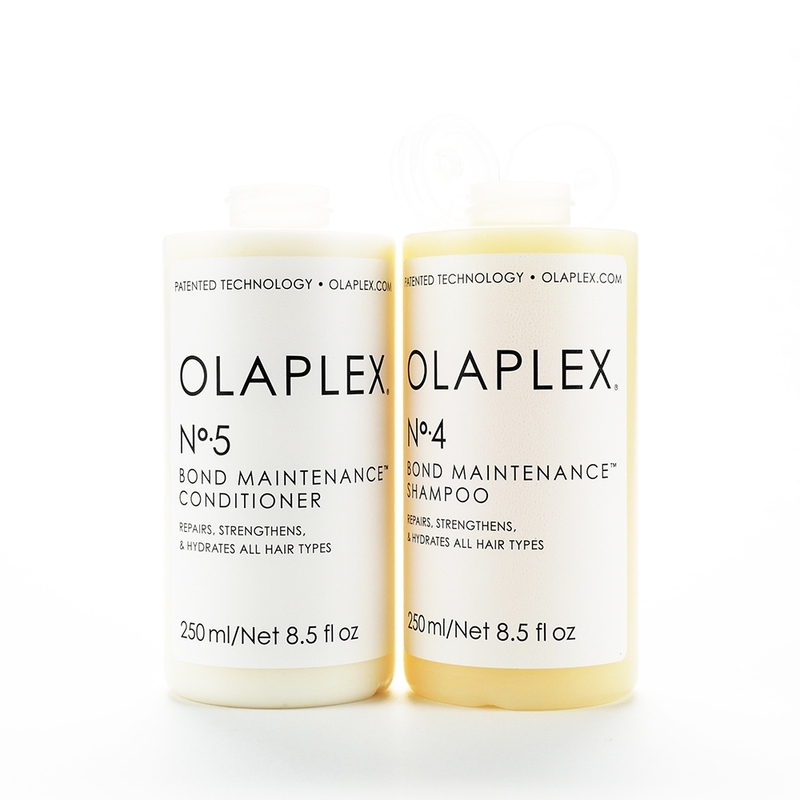 If you have damaged hair, or just want to give your hair some extra love once and a while, I highly recommend Olaplex No.4 Bond Maintenance Shampoo and No.5 Bond Maintenance Conditioner. The repairing shampoo and super-moisturizing conditioner will leave your hair feeling soft, shiny and healthy. Copyright © 2014, b·a·gorgie®, All rights reserved.